Are permits required? Yes, and they are not easy to come by. The forest service allows 60% of its permits to be reserved up to 6 months in advance. The remaining 40% are saved for first-come, first-serve permits that can be picked up no sooner than one day before the trip date at the ranger station in Mammoth, I would recommend getting in line before the ranger station even opens if you are attempting to get a permit for a weekend date. The first-come, first-serve permits are free. 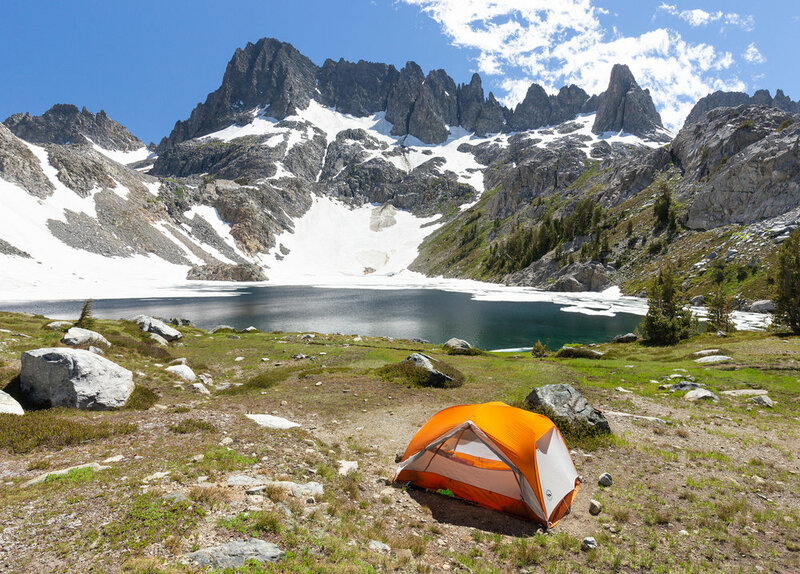 If you want to reserve your permit ahead of time head to the Inyo National Forest - Wilderness Permits page on recreation.gov. Press the yellow "Check Availability" box to begin your search. Under "Looking For" select "Overnight" and then under "Trail" scroll down on the list until you see "River Trail AA08". Select the date(s) you wish you complete the trip, select your group size, hit "Search", and hopefully there will be some availability! If you reserve the permits online they are $5 per person plus a $10 reservation fee. Before you book them you will also need to designate which locations you will be camping. 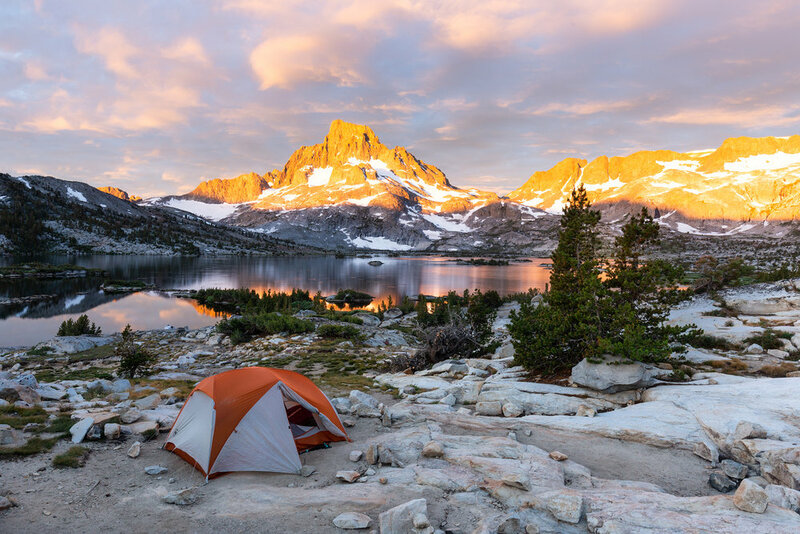 For this trip choose "Thousand Island Lake JMT - (River & High Trail)" for night 1 and "Iceberg Lake (Shadow Creek)" for night 2. Agnew Meadows is Shuttle Stop #1 on the route. When to go: The best time of year to hike this trail is mid to late summer when all the snow has melted.